Brazil to receive 10 generators that use Israeli technology to produce pure, clean-drinking water from ambient air. Brazil will receive 10 generators that use Israeli technology to produce pure, clean-drinking water from ambient air, according to Brazilian Minister of Science, Marcos Cesar Pontes. 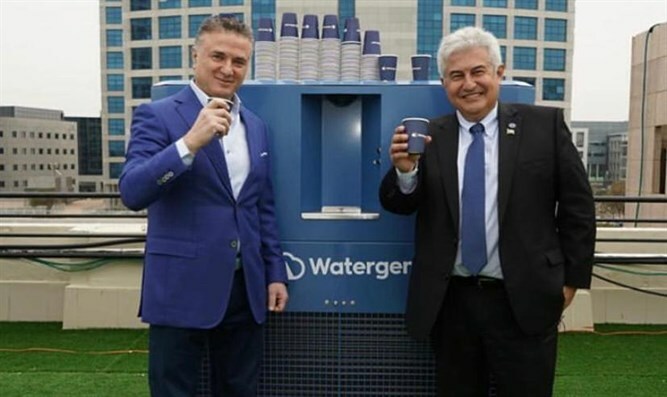 During his visit to Israel, Pontes visited Watergen’s headquarters whereupon he seized the opportunity to taste the fresh water produced by the GEN-350. Pontes also took time to meet with Watergen’s president, Dr. Michael Mirilashvili, who is the visionary behind the organization’s goal to make clean and safe drinking water available to every human being around the world. Watergen’s donation of 10 GEN-350s to Brazil comes at a critical time for the country. Two weeks earlier, a dam at a mine in Brumadinho collapsed, leading to the deaths of over 130 people and approximately 200 injured victims. The IDF sent an aid delegation to Brazil in the wake of the dam collapse. The delegation assisted in locating and rescuing dozens of missing people using a range of advanced technological means. In addition, the soldiers assisted the local Brazilian emergency authorities and shared innovative techniques who will assist and serve the authorities in the searches.